Customers with a valid library card may use computers in the library for up to three (3) hours each day. All of our computers are managed by software to ensure everyone has fair and equal access to library computers. When you log in to a computer with your library card barcode and PIN, the computer keeps track of time for you. You may use up to 3 hours per day (all at once, or in several sessions). An on-screen timer will help you keep track of your available time. Anytime you are asked for your barcode you need to enter all 14 digits without any spaces. Your PIN is a 4 digit number. Forgot your PIN? Public computers are available on a first-come, first-served basis. Certain computers are able to be reserved up to 7 days in advance (see next). You can reserve a Team Room that includes a computer. Public computers are running Windows 10. They also have Internet Explorer, Firefox, Edge and Chrome for web browsing, Picasa 3 for photo viewing, and Microsoft Office 2013 (Word, Excel, Publisher and PowerPoint). WinWay Resume software is installed on computers in the East and West wings. All residents within our reciprocal borrowing area are encouraged to apply for a TSCPL library card. Visitors to our library who are not eligible for a library card may obtain a guest pass at any service desk to access the computers for 3 hours. Guest passes are issued on an individual, daily basis. Catalog-only computers for searching for library materials are available throughout the library. Library cards are not transferable; each customer must use their own library card to access the computer. Read the library’s computer use policy. Self-service faxing is provided free of charge for local, toll free, and long distance numbers. Customers must wait for the confirmation page as a receipt. The library is not able to receive faxes for patrons. Scan letters, articles and photographs using one of our four document scanners. Black and white photocopies are 10¢ per page. Color photocopies are 50¢ per page. You must use your library card to make photocopies. The library does not have a coin-operated copy machine. USB flash drives can be used with public computers. USB drives are available for purchase at the Customer Service Desk for $4 for a 512 MB (megabyte) device and $7.50 for a 2 GB (gigabyte) device. 3.5 inch floppy disks are supported; please ask to borrow a USB external floppy disk drive from the Service Desk. Speakers are not provided on public computers. Customers may bring their own headphones. Headphones are available for purchase at the Customer Service Desk for $2. 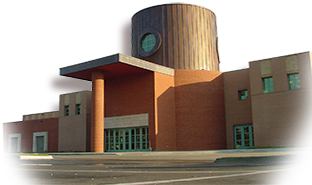 The library provides wireless internet access to everyone during library hours. 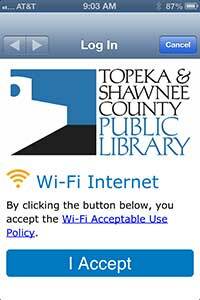 When you are at the library locate “TSCPL-Public” in your Wi-Fi network listing on your laptop computer, tablet or phone. Click or tap the the “I Accept” button to connect to the Wi-Fi network. If you have questions, staff will be able to help on a limited basis. The library does not provide access to wireless printing. Instead, documents can be opened on a public computer to print.